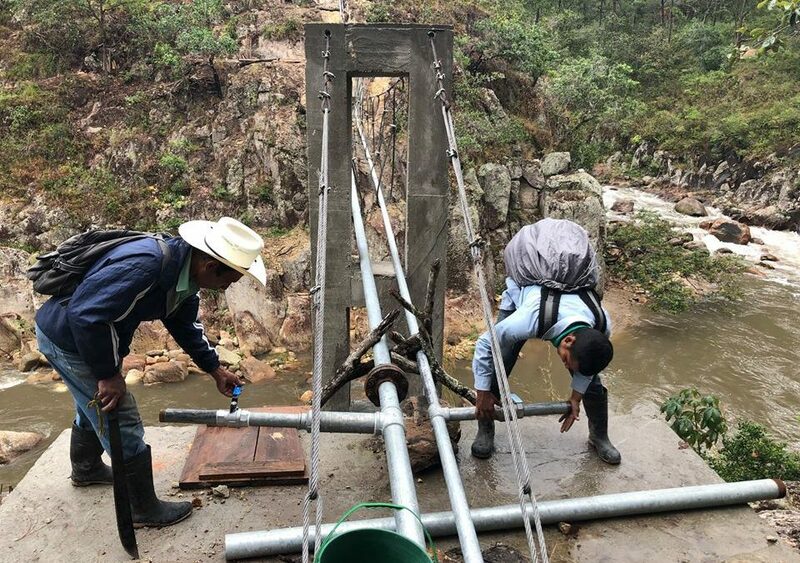 In December, long-time WEFTA volunteer engineer, Andrew R., was in Honduras checking in on a current project to provide safe drinking water to 1,800 residents in 3 rural communities. Community volunteers installed a high-pressure steel pipe. A cable suspension bridge carries the waterlines across the river. If you would like to learn more about this project, please contact us at info@wefta.net.